For many, Telltale Incorporated is synonymous with adventure gaming. The Wolf Among Us, Tales from the Borderlands, Minecraft: Story Mode, and the award winning The Walking Dead games were crafted with care since the studio’s inception in 2004. However, on September 21, 2018, the company announced an immediate majority studio closure, causing the dismissal of over 200 employees. CEO Pete Hawley released a statement in which he commented, “We released some of our best content this year…, but, ultimately that did not translate to sales. With a heavy heart, we watch our friends leave today.” In the world of capitalism, companies will rise and fall, and in the end, it is the workers that end up left crumpled in the aftermath. Within minutes of Pete Hawley announcing the studio closure to the Telltale staff, details immediately surfaced on social media of the magnitude of loss that the workers would have to endure. Staff was told to vacate the building within 30 minutes. Their health benefits would run out at the end of the month, and they would receive no severance package. In response, a lawsuit was recently brought against Telltale Games from its former employees under the Worker Adjustment and Retraining Notification (WARN) Act, which is a provision in California that states proper notification must be given to staff members before mass layoffs are instituted. But while this class action suit is ongoing, many are still left without jobs or benefits. This event has led to the spotlight shining on gaming companies exploitive practices. One tool used, “crunch”, is the practice of pushing developers to work 60-70-hour work weeks, including having staff stay on site to make sure games meet their release deadline. Workers could go days without going home and suffer from lack of sleep to make sure that the game that is being made is on shelves for consumers on the promised date. Another tool used, often in conjunction with crunch is the over hiring of contract workers. With contract workers, companies can blitz hire lots of folks to help work on games, push them to work long hours, and not have to give any benefits to them. And per provisions within the agreement, contractors can subsequently be cut at any time with little to no recourse for the company. Image credit Game Workers Unite. 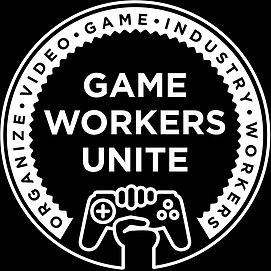 Movements to unionize video game industry workers by groups such as Game Workers Unite are seeing an increased following. They released a statement regarding Telltale, saying, “The situation is heartbreaking, but not unfamiliar – this is a problem endemic in the industry. Hundreds of workers are being denied pay and healthcare without notice or severance, left vulnerable in an area with an extremely high cost of living.” They continue, “This problem is not isolated to only Telltale or the executives there – this is a problem that we see time and time again throughout the industry, and we will continue to see as long as management is able to take advantage of workers.” The response here is clear and direct, that this incident is one that continues to be told in all circles of the gaming sphere and it is one that needs to change. Telltale Incorporated still exists as a skeleton crew of 25 people that are working to finish several projects that the 200 people they let go were not able to finish. 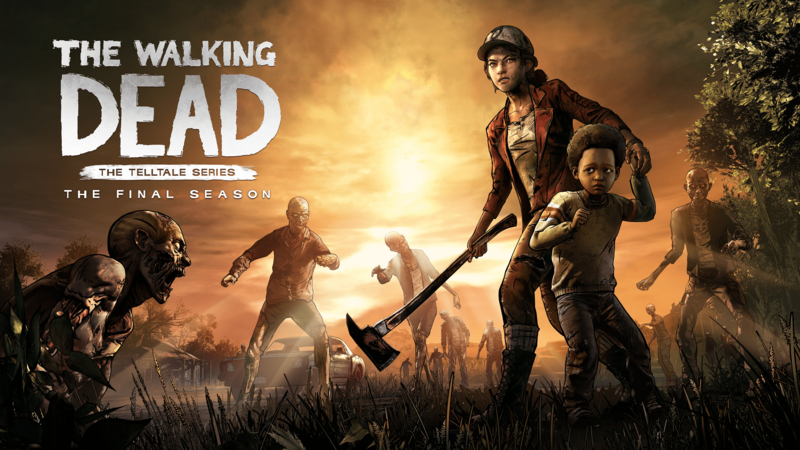 Games such as The Walking Dead: The Final Season are unknown if they will ever see the remaining episodes released. Adventure gaming as a genre was largely reborn and grown by Telltale, and now many are left to wonder the effect of this closure. But what cannot be lost in this moment is that video gaming is not just isolated entertainment for the consumer. These games are created by people who go to work every day and sculpt experiences for us as players to enjoy. And these individuals, like those at Telltale, deserve to have the basic rights and protections that most of us who work in other industries take for granted. As gaming consumers, it is we who control if things will change, by supporting or not supporting these practices with our wallets. I hope this is the catalyst that will drive the end of exploitive practices, the end of crunch, the creation of realistic deadlines, and an increase in staff workplace benefits. Telltale games were about choice. It’s time for gaming businesses to make the right one. Update: According to Forbes “Robert Kirkman’s Skybound Games Will Finish Telltale’s The Walking Dead” game series.